In collaboration with the Ramon Aboitiz Foundation Inc (RAFI) and University of San Carlos, Miller Center has launched a major new initiative to expand its global reach and impact. The new Center for Social Entrepreneurship, located on the campus of San Carlos University in Cebu, Philippines, will anchor the social enterprise movement in Cebu and more broadly across the Pacific Islands region. University of San Carlos (USC) Center for Social Entrepreneurship: Establish a center of excellence in Social Entrepreneurship that will develop courses and academic programs, facilitate field-based action research projects for faculty and students, and offer direct acceleration services to promising social entrepreneurs. Accelerating Local Social Enterprises: Implement a set of programs offering direct training and mentorship for promising social entrepreneurs, as well as the ability to proactively replicate/translate proven social enterprise operational models from around the globe into the Philippine island context. Through this innovative partnership Miller Center will share the Global Social Benefit Institute (GSBI®) Methodology for Social Entrepreneurship and build the capacity of partners to expand our reach and impact, well beyond what we can achieve on our own. To learn more about the GSBI Network and how you can partner with Miller Center to bring the GSBI methodology to your organization click here. Meet the first cohort of enterprises participating in the Online program! RAFI is a social development foundation committed to “touching people, shaping the future” through integrated development, micro-finance & entrepreneurship, culture & heritage, leadership & citizenship, and education. Throughout RAFI’s 50-year history, the foundation has developed competencies and insights in community development. Currently, the foundation is operated by a permanent team of more than 160 employees of multi-discipline. It is ready to upscale models and best practices in development. Learn more about RAFI at https://www.rafi.org.ph/. 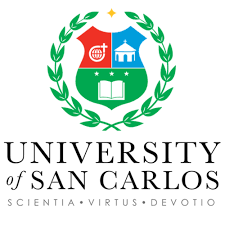 University of San Carlos (USC) is a Catholic educational institution administered since 1935 by Society of the Divine Word (SVD) missionaries. A University since 1948, USC offers the complete educational package from kindergarten, including a Montessori academy, to graduate school. Learn more about Education with a Mission and how we Witness to the Word at http://usc.edu.ph/.